We were 3 weeks at home before we were back on the road again. We drove from Mossel Bay to Witsand to say hello to the children. They have a very nice undercover area available for us to camp. 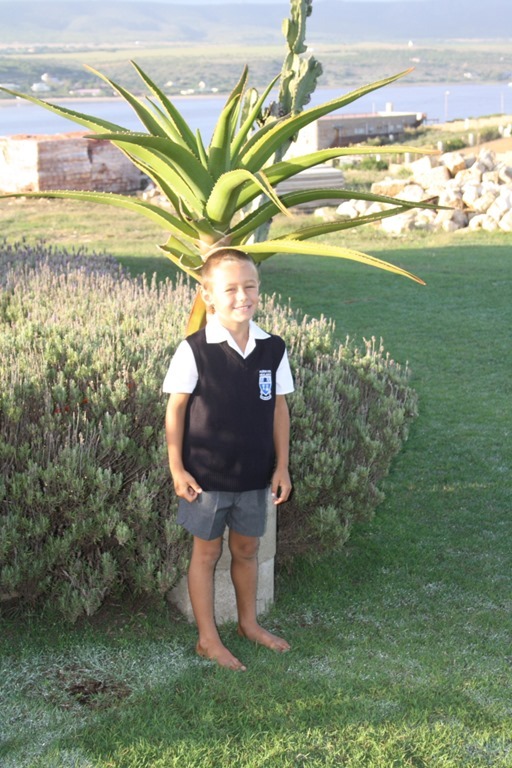 Troi slept with us in our tent and loved having us there to wish him the best on his first day at Grade 1. 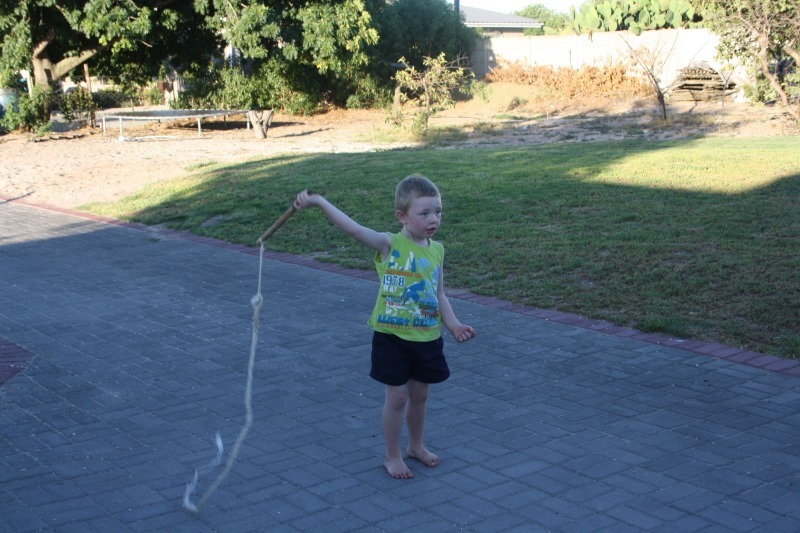 After 4 days with Leon, Hanli and Troiboy, we drove the 250km to visit Lucas, Petro and Little Luke on their smallholding near Caledon. Luke was very nonchalant when we came driving through the gate, looking intensely at Arno and said “Oupa, I knew it was you because I know the sound of your “kamp bakkie”. We had a fantastic weekend camping at Vloedbos with them and we entertained Luke by riding with him on the super tube. We were the oldest children on the slide. 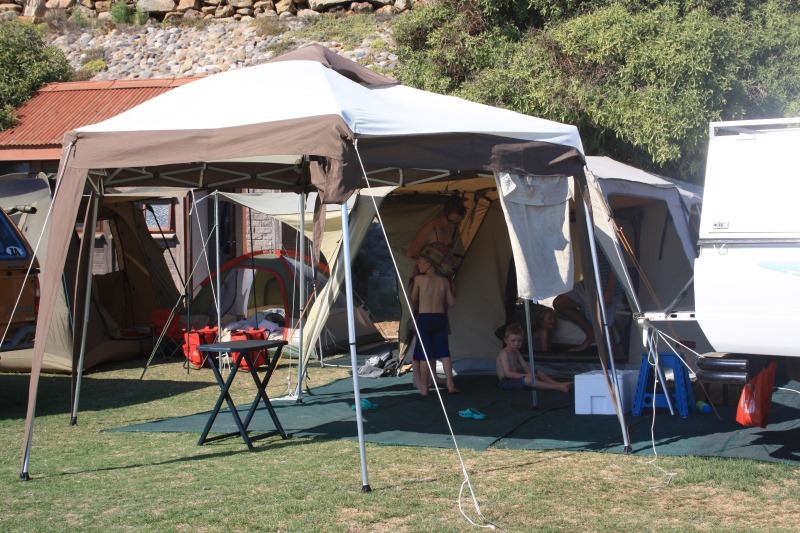 We then stayed at Mountain Breeze Holiday Resort near Stellenbosch which is our favorite campsite when visiting Cape Town. We walked to the farm stall and enjoyed the fantastic environment. We visited Arno’s brother Chris and his wife Hilda who stays on a wine farm nearby. 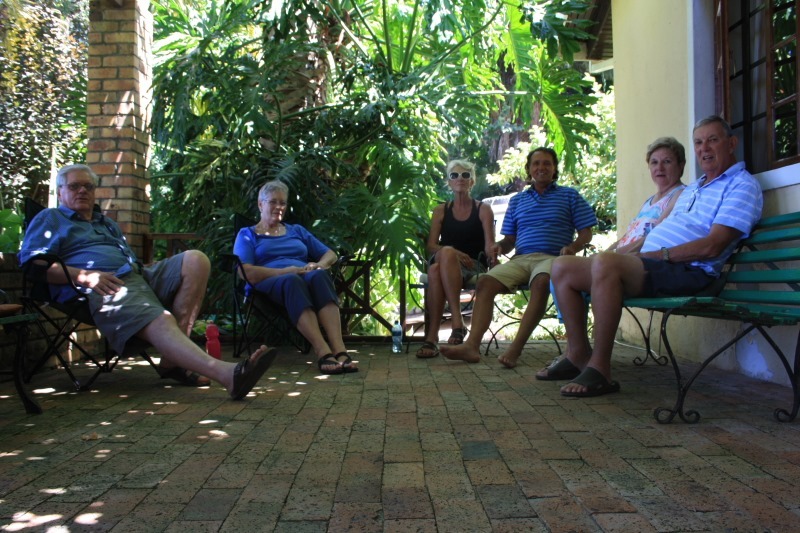 As a bonus Arno’s sister Heleen and her husband Gerard also came to enjoy the day with us. It was a real family day with wonderful food and lots of fun and joy. 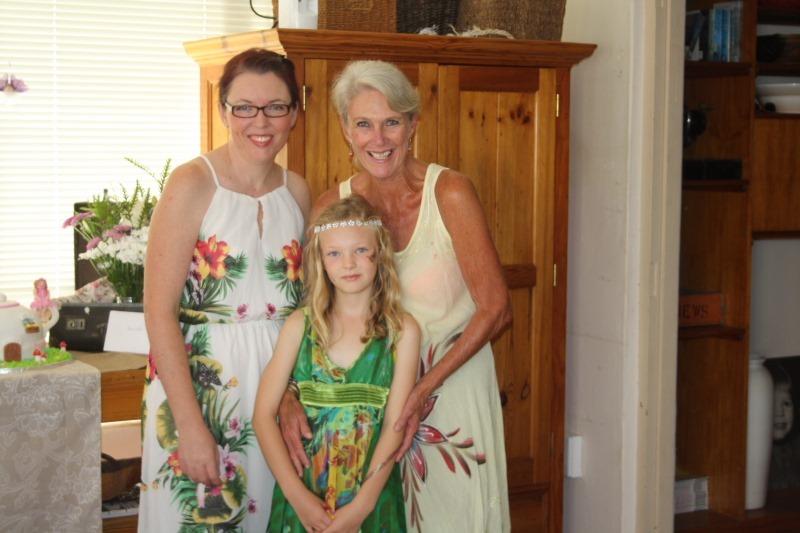 Our sister-in-law Anneke, Naas’s mom, also came to have a braai with us. We had a lovely evening together. We then surprised our grand kids PJ and Yvonne by pitching up at their Nursery School in Brackenfell. They at first did not recognize their grandparents (the long hair and weight loss we think plus a year’s absence) but when PJ suddenly recognized me, he absolutely jumped into my arms with a loud ”ouma Lies”. It was a very special moment. Yvonne, shy at first, hugged me tightly around the legs and then it was Oupa’s turn. Priceless moments! We enjoyed our visit with Pieter, Agnes and the children. They have maps of Africa and followed our journey. We also wrote them letters and send them photo’s witch they took to school to show to their teachers where “Oupa & Ouma Afrika” are travelling. While we were in Brackenfell we had some wear and tear fixed on the Hilux and the Canopy. 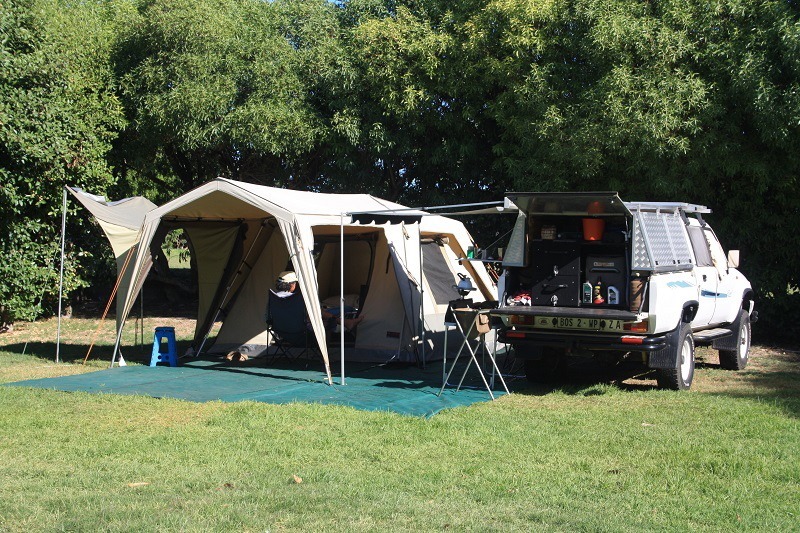 Ciske, the owner of Gomad 4×4, who made our canopy, has the best after service anyone could wish for. He put new rubbers in and secured the canopy again. The load bin came loose from the chassis because of the terrible roads we drove on, and has been fixed. Now our West Coast experience really started. 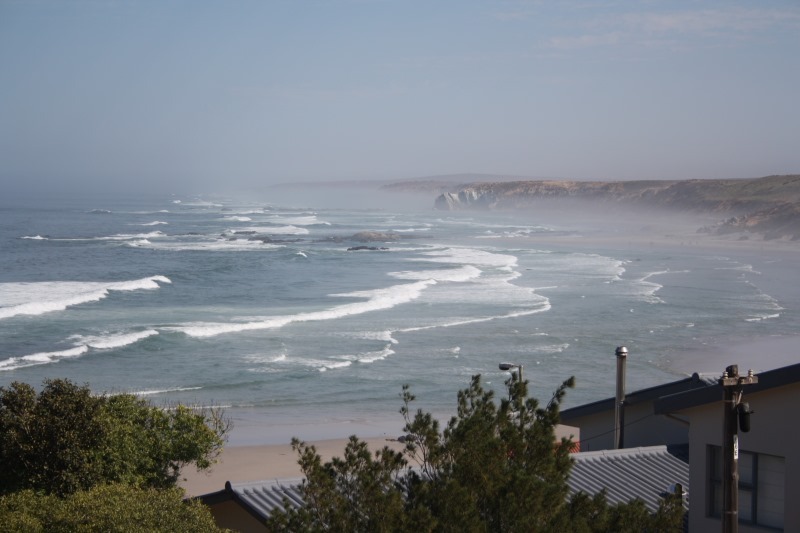 We drove north on the R27 and turned in at the gate of the West Coast National Park. 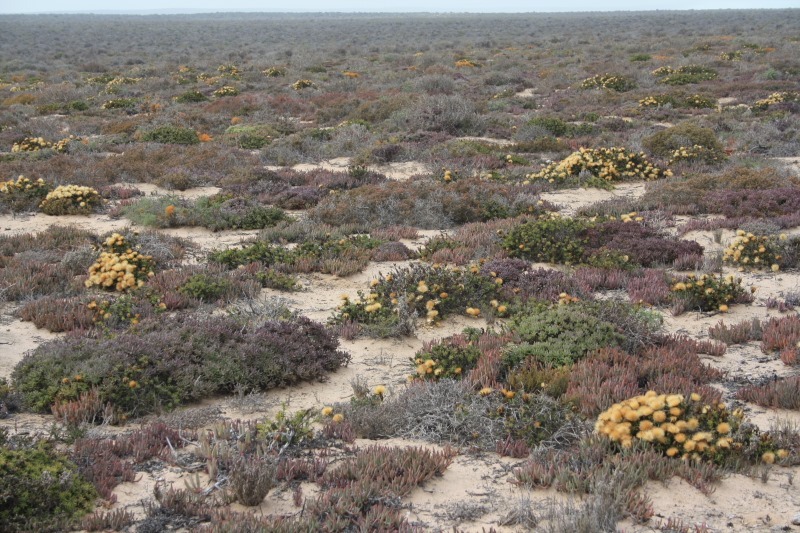 When we stayed in Langebaan we always preferred driving through the Park rather than continue on the main road. We had a very enjoyable drive through the Park. The lagoon was as lovely as ever. Driving across the bridge over the Berg river was like a homecoming for us. We drove that route every weekend to our holiday house at Laaiplek for 4 years. 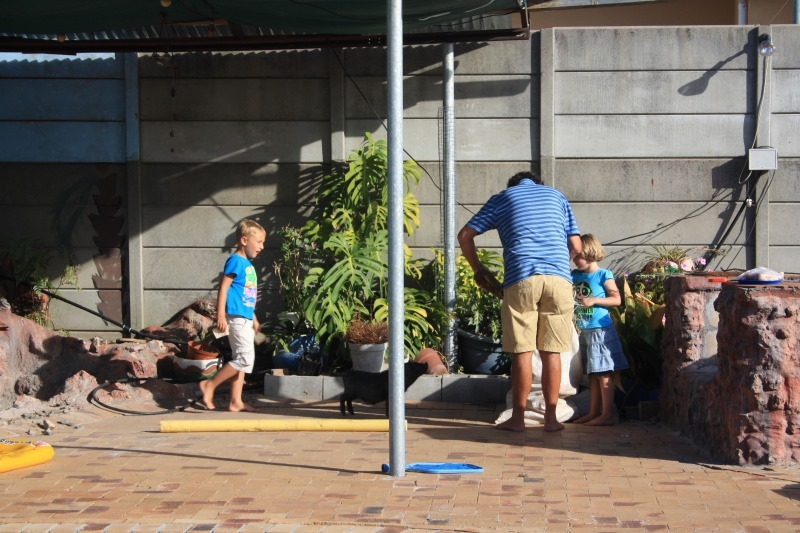 We stayed with Andre, Jeanne-Marie, Marene, Luan and Stefaansie until the weekend. I baked rusks for all of us and we enjoyed being grandparents. It was Marene’s 8th birthday, so we took her to her favourite restaurant, Panarottis in Vredenburg, treated her with a Pizza and let her choose her birthday present. The Saturday morning the men, (big and small) went on a fishing expedition for the morning while the Fairy Godmothers (mom Jeanne-Marie and grand mother Elize) enjoyed the birthday bash with the eight year old fairy and her friends. 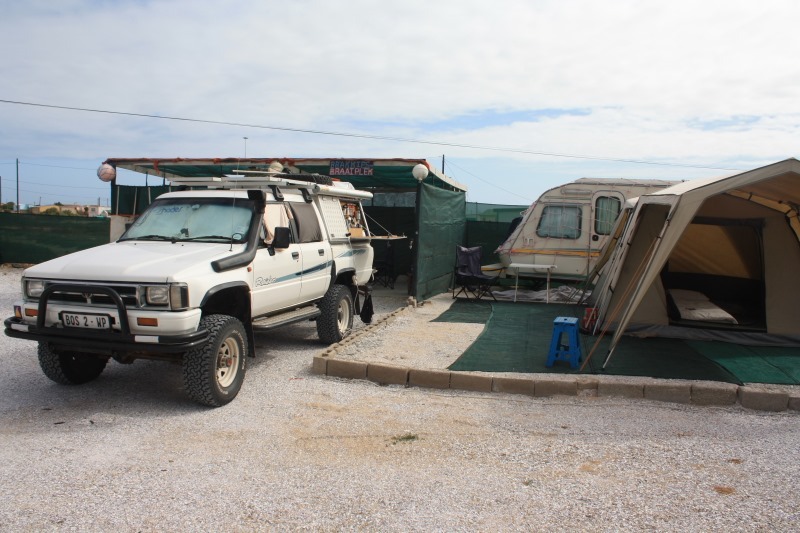 Next we moved to Saldanha’s Campsite to enjoy a wonderful time with Carel, Daphne and Dane. Dane spent 2 whole days with us at the campsite. 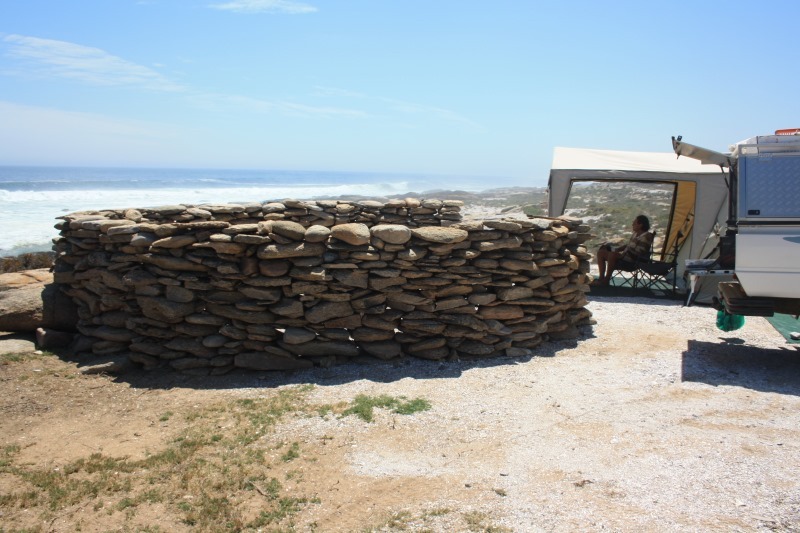 We drove north towards Elands Bay, stayed for one night at the campsite and then moved to Strandfontein. We enjoyed the camping there so much that we stayed a whole week. Reading, writing, braaiing and just relaxing. 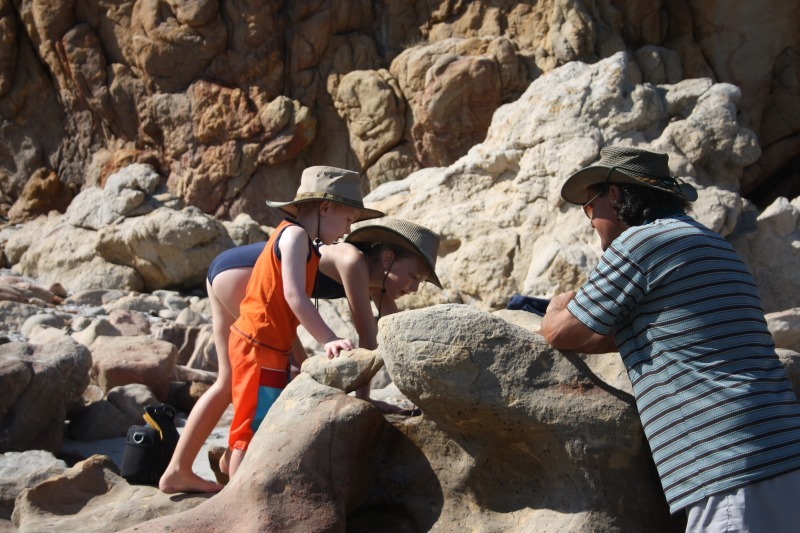 Our Velddrif kids and grand kids joined us for the weekend. It was really a most enjoyable experience. 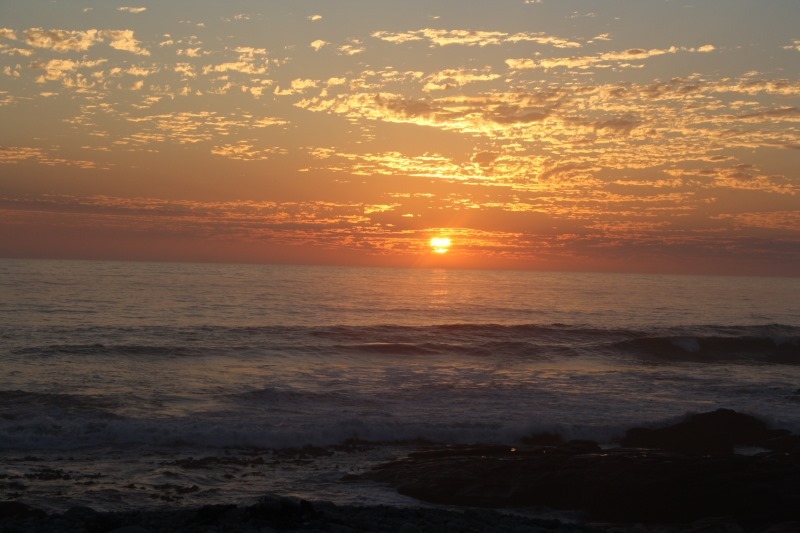 Strandfontein is called the Jewel of the West Coast and we agree wholeheartedly! 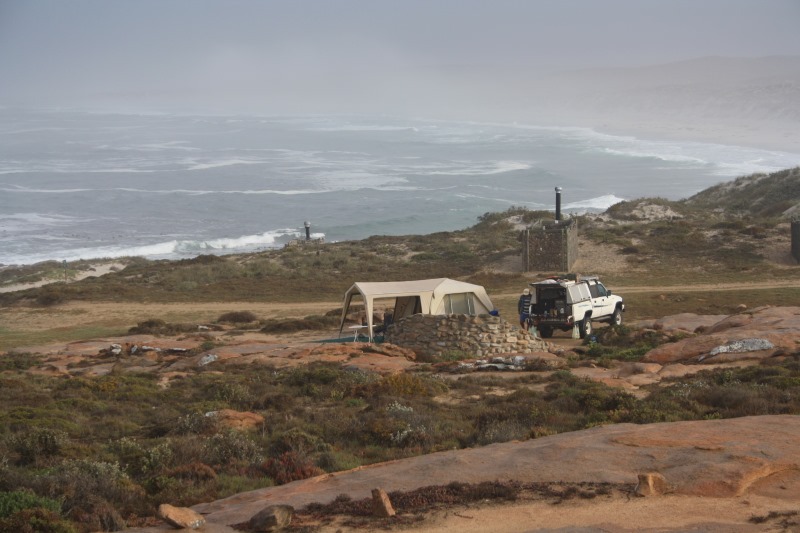 Our next stop was a beach camp en route to Groenrivier which is also the entrance of the Namaqua National Park.. It was amazing wild camping again without a single sole around.. The views were magnificant, the weather hot but bearable but nothing could compare with the feeling of being totally isolated with only the ocean, the beautiful sunset and magnificent stars at night. The next stop was at Groenrivier mouth. 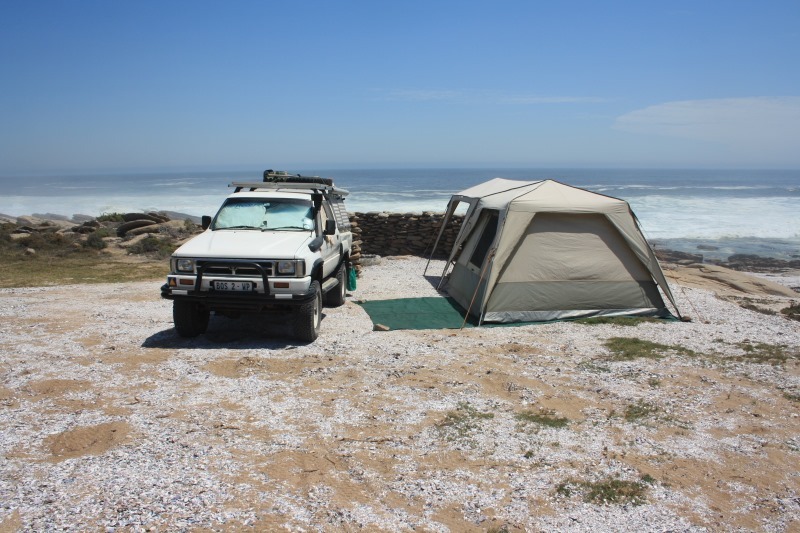 We pitched our tent and sat looking in awe at the monstrous waves crashing ashore. 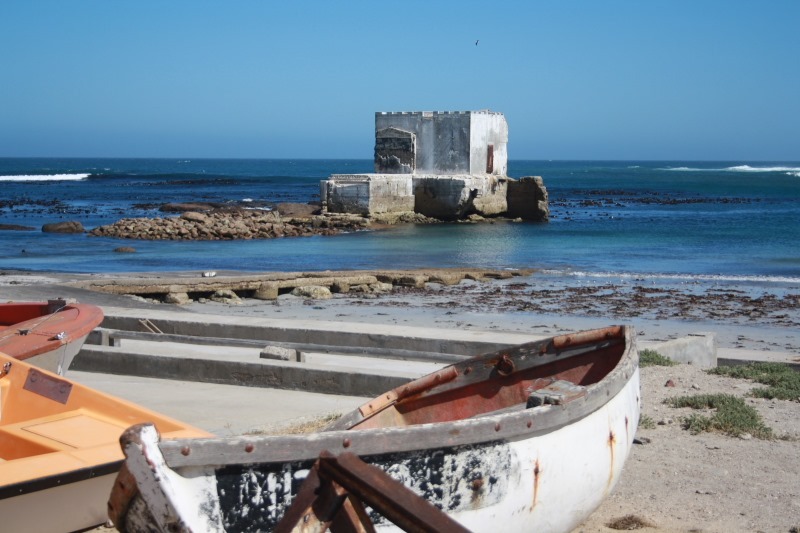 The 64.5km between Groenrivier and Hondeklipbaai is a coastal experience where there are no developments at all….only the beautiful rugged coastline on the one side with the vast wilderness on the other….. pristine and untouched as it is has been for hundreds of years. 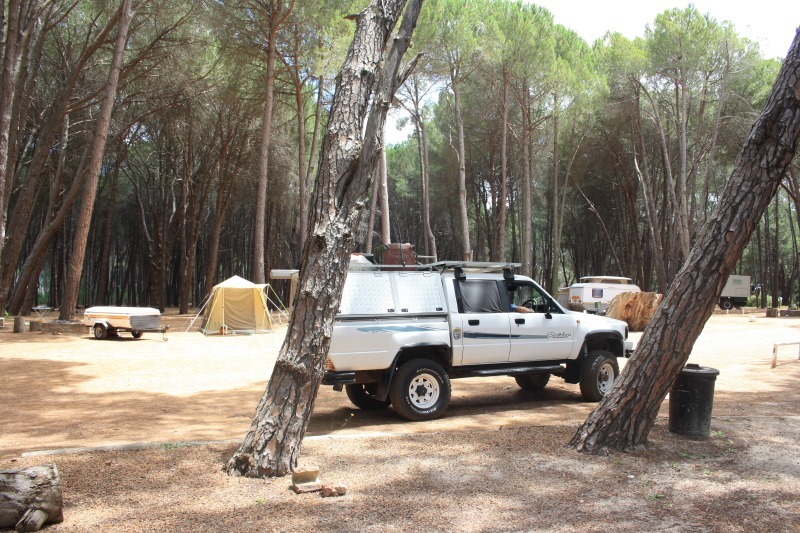 A 4×4 is required to reach the campsites. 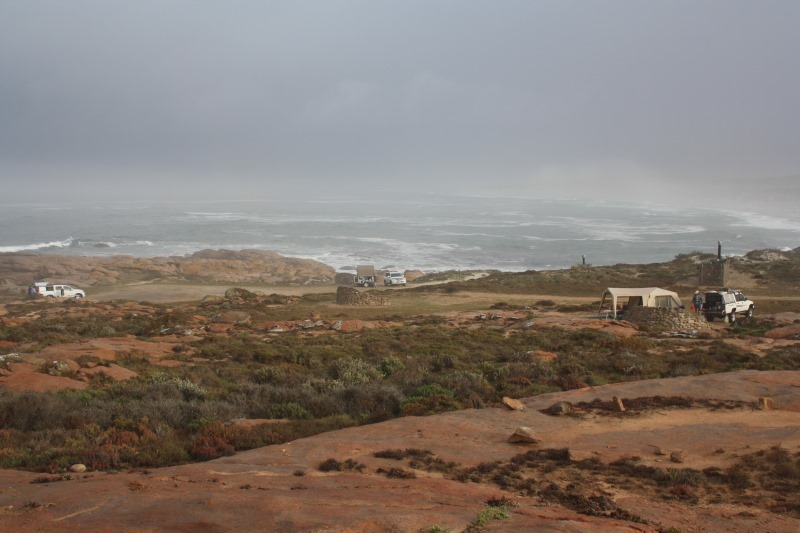 The campsites are clearly marked and has enviro loos but one has to be totally self efficient. Because it is an arid Park, there is no water available and no amenities at all. The road are partly good gravel road changing to real 4×4 deep sand for periods. The signs next to the road warns you exactly where to expect what. It was real fun challenging the deep sand. 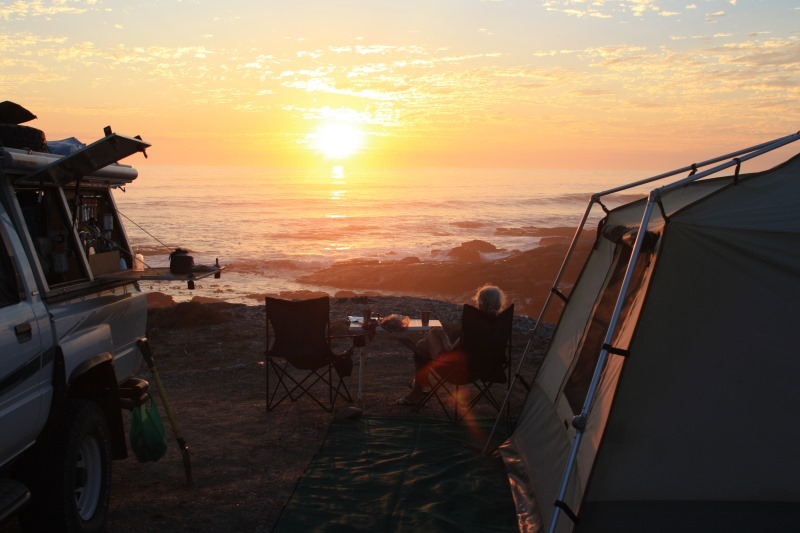 Namaqua’s special campsites are Delwersklip which is the closest to Groenrivier, with 7 campsites. Kwass is 18.7km from the Groenrivier gate with 4 campsites, We camped at Koringkorrelbaai where we were joined later in the day by 2 other vehicles. There are 5 stands and 3 enviro loos. Just north of the camp is a long beautiful beach. 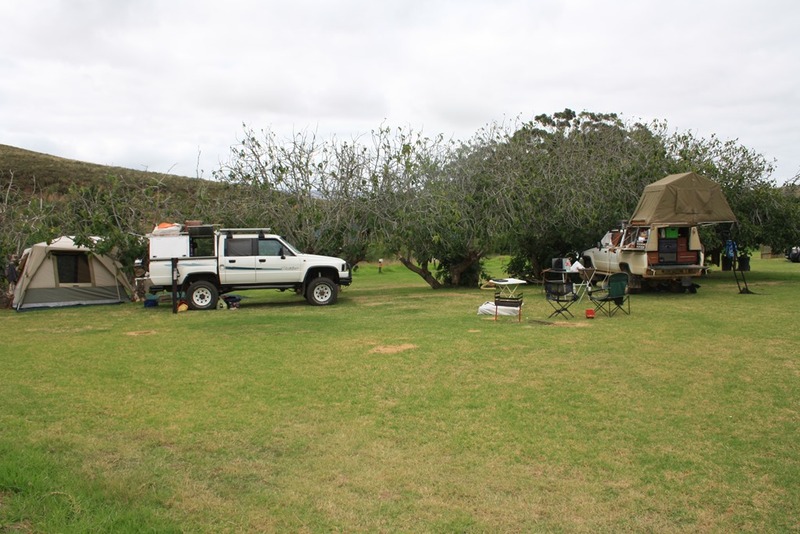 The next camp is at Skuinsklip from which is also close to the historical Spoegrivier Caves. 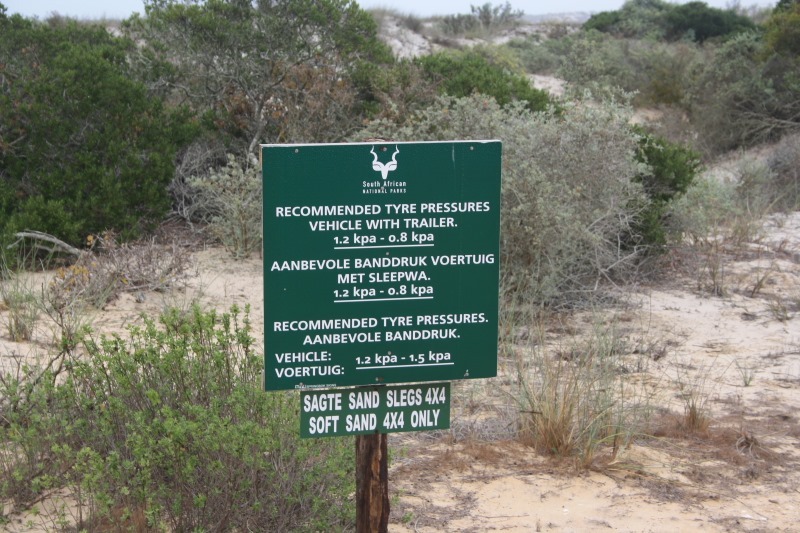 Skuinsbaai Noord has only 2 stands and can be reached from Sarrisam on one of the Parks private access roads with a high clearance vehicle or from Groenrivier with a 4×4. 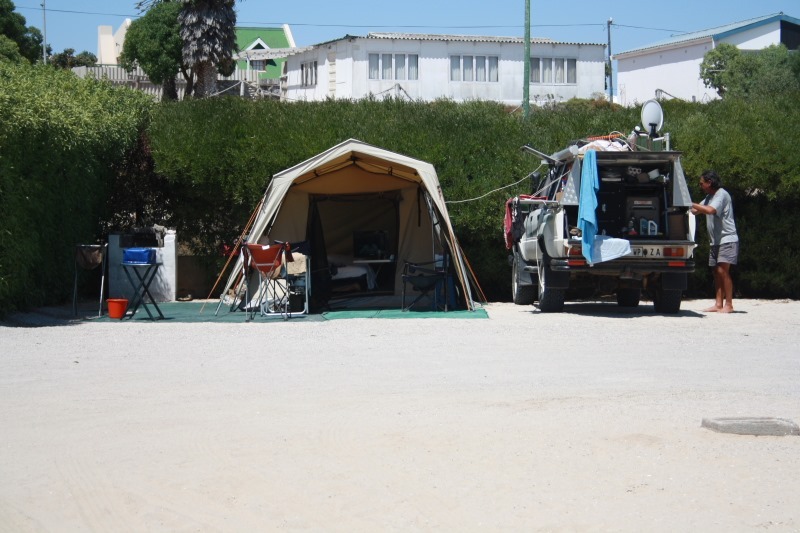 After 5 days camping and exploring the Park we reached Hondeklipbaai where we camped at the very neat and tidy Skulpieskraal campsite. 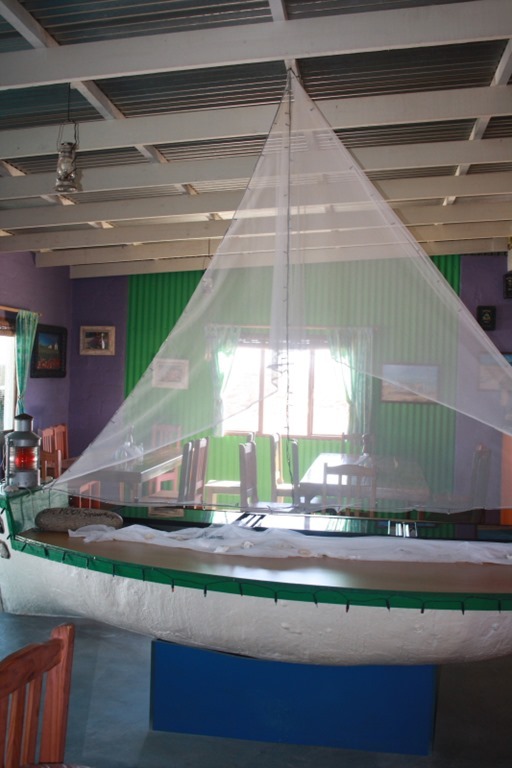 There is also a cosy little restaurant called The Rooi Spinnekop. 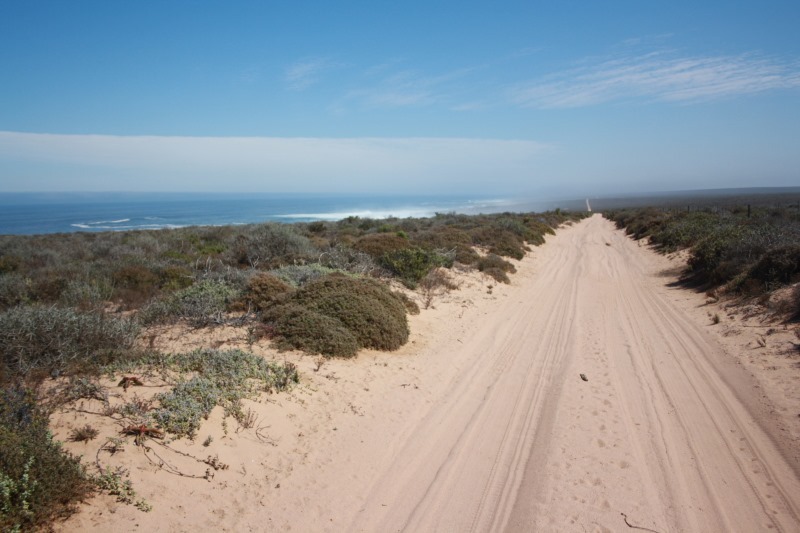 We were able to drive along the beautiful tarred road along the coast through the De Beers diamond fields. It is called the Diamond route. We entered the area at Koingnaas. From Kleinzee the tar road becomes a good gravel road. 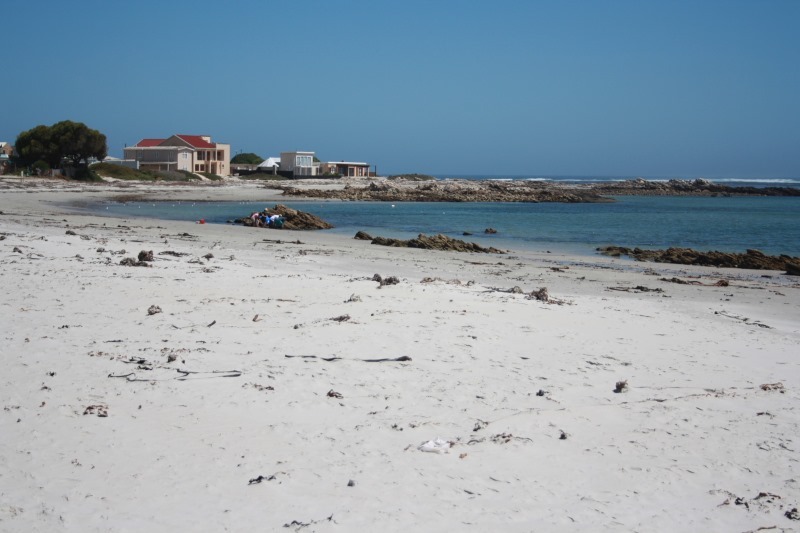 It is about 100km to Port Nolloth where we camped the weekend at McDougals Bay Caravan Park. 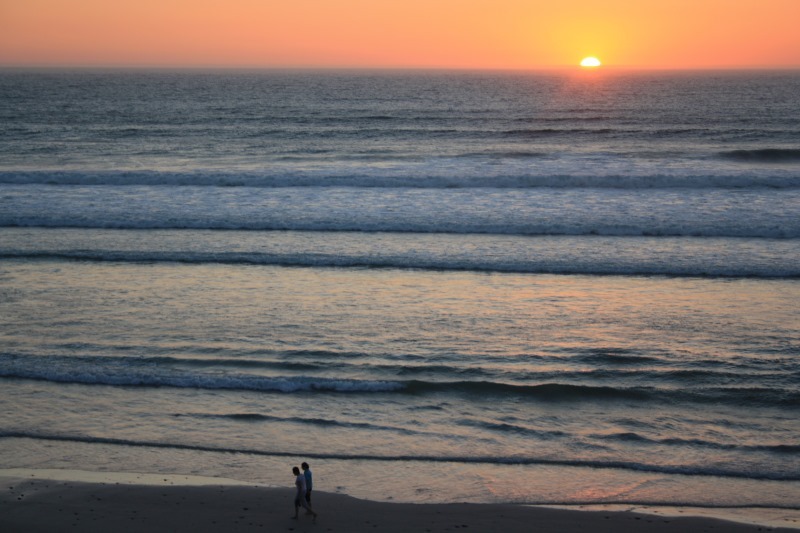 McDougals Beach. 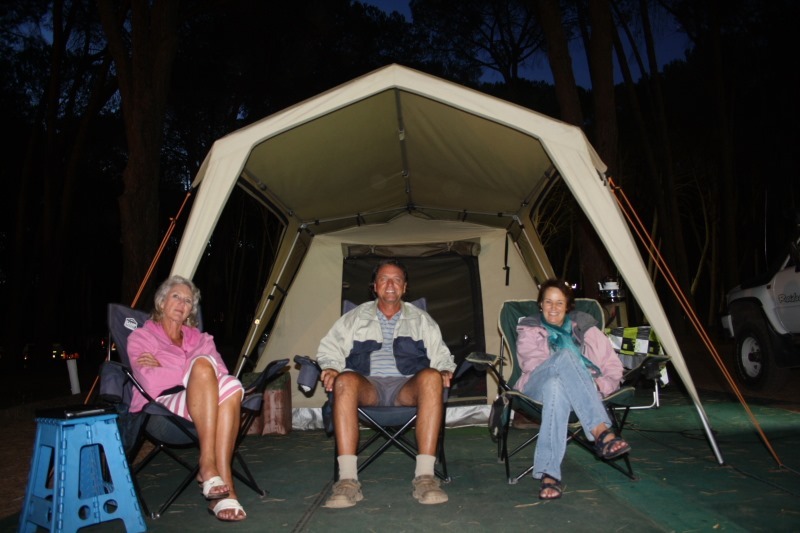 Camping cost R130 per night. 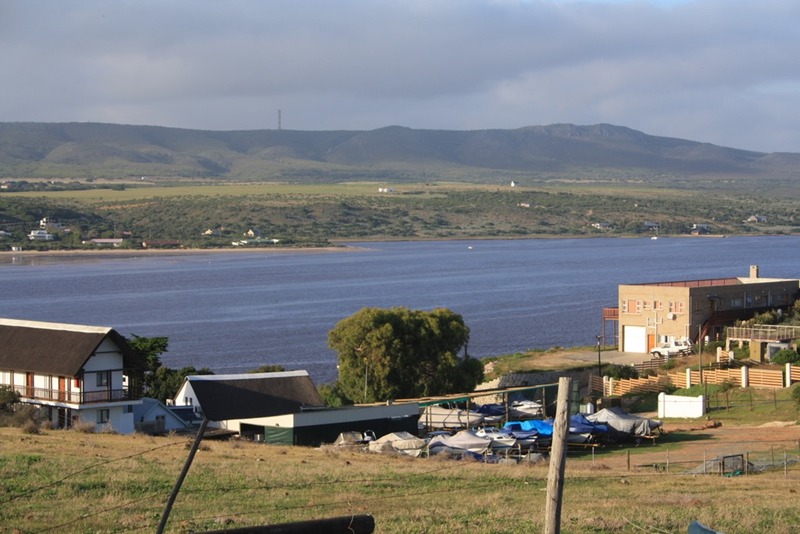 Our next stop will be Alexander Bay to see the mouth of Orange river after witch we will tackle the Richtersveld, camping at Brandkaros about 27km from Alexanderbaai.